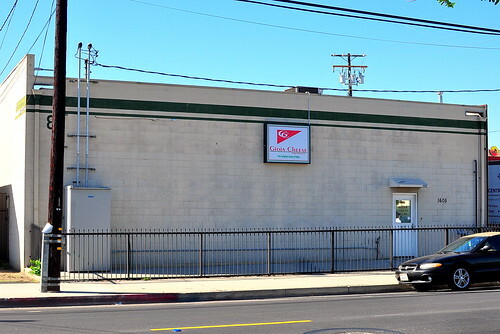 Heaven is located 9.7 miles from my house on an industrial stretch in South El Monte. Don’t believe me? 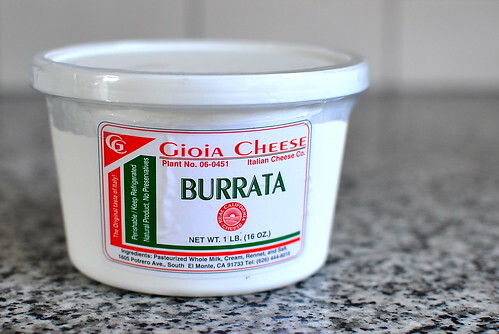 Well, then you’ve probably never tasted freshly made burrata from Gioia Cheese, an Italian-style fromagerie owned and operated by Vito Girardi since 1992. The unassuming factory churns out 2,000 pounds of the creamiest, stringiest, most delectable burrata daily and delivers it to restaurants across the country. 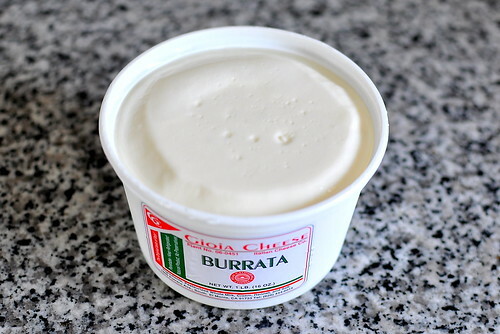 Gioia is one of a small number of domestic burrata producers, and best of all, its wares are available for sale to the public. I’ve been meaning to procure a hefty stash for months, but didn’t make the trip until my mom rolled into town to celebrate her 58th birthday. My present to her was a three-course celebratory feast, and gooey mounds of burrata were slated for the starter. A half-pound probably would’ve sufficed for the evening’s meal, but I went ahead and hoarded two pounds for good measure ($6 per pound). 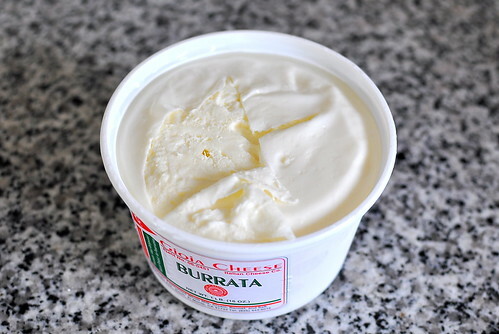 Burrata cheese begins life like other mozzarellas, with rennet used to curdle the warm milk. Whereas for fresh mozzarella the curds are plunged into hot whey or lightly salted water, kneaded, pulled to develop the familiar stretchy strings (pasta filata), and then shaped into whatever forms, during the making of burrata the still-hot cheese is instead formed into a pouch which is filled with scraps of leftover mozzarella and topped off with fresh, rich cream, called panna. Even though I’ve eaten burrata dozens of times at restaurants, I wasn’t sure what to expect when I cracked open the lid. The cheese was pristinely white with rounded edges and a smooth surface. The perfection of it all reminded me of a cityscape after a fresh snow fall. Burrata inspires the poet in me. I made a small slit with a sharp knife, revealing the heart of the matter. Gioia’s product is slightly different from what’s available in Italy on a few fronts. Firstly, it is made from pasteurized cow’s milk rather than fresh buffalo milk, and the center of the cheese stays more solid because the cream is coagulated. I swiped a few forkfuls to make sure the burrata was up to snuff for my mama. Each bite was a dreamy, creamy slice of heaven. 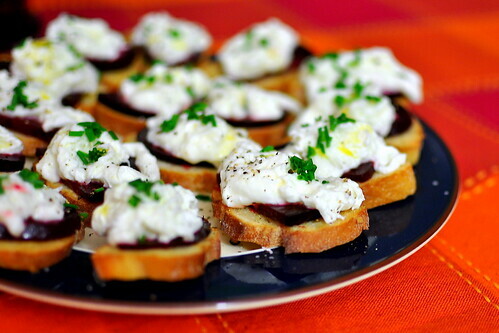 I served the cheese using a recipe from Food & Wine magazine for beet and burrata crostini. 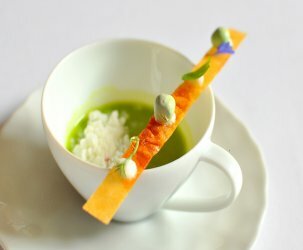 The simple preparation was just the thing to spotlight the delectable burrata. This place is great! The quality is pretty awesome, especially for the price. Oh man, now I’ve got to see where I can get it here in Minnesota! That beet pairing looks pretty nice. 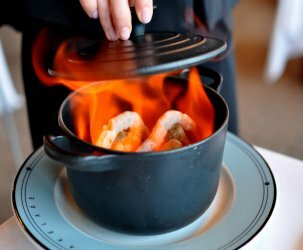 Happy birthday, Ma Gastronomer! Your mama is a lucky gal! So what did you do with the other pound of burrata? 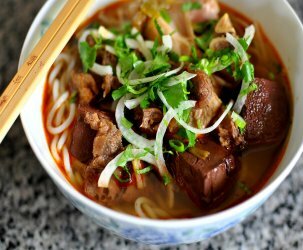 Diana – I ate it with toasted bread, salt, pepper, and olive oil. So simple, so delightful. I also gave mama some to bring home. She loves burrata too! Jealous you live so close! Oh lord, I think I just jizzed my pants! Awesome. Burrata is one of the great things in life. I often get this brand and eat it with roasted red peppers and fresh basil.